What lipstick should you buy? Which type is bagay? Overwhelmed by the number of lipsticks you see? But aside from picking the best shade, you have to know which is the right type for you. Matte or cream or sheer? 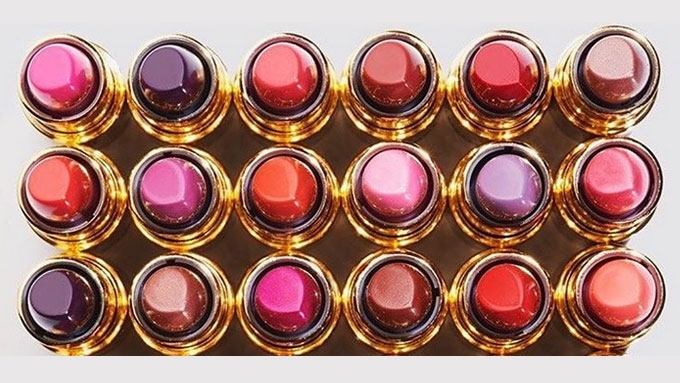 Usually, when ladies buy their lipsticks, the shade becomes the major determining factor. Basta okay ang kulay, buy na! Eventually, they discover that it's not the type of lipstick they need, and end up not using it until it expires. If you feel diyahe asking questions to the sales associate, PEP.ph (Philippine Entertainment Portal) put together this short list of FAQs. Why matte should matter to me? If you like the finish to be flat, smooth, and almost appears like velvet, this type is for you. And since it contains a lot of pigment, its colors are the strongest, darkest, and most vivid. I'm not fond of wearing lipstick, but I need to buy one for an event. Any reco? Pick the long-wearing lippies so won't have to reapply every four hours. Revlon's ColorStay Ultimate™ Liquid Lipstick can last up to 24 hours, has no color transfer, and is food-proof! But if you want something long-lasting and moisturizing at the same time, the suede range has shea butter, aloe, and vitamin E.
I have thin lips, what lippie should I buy? If you want fuller lips, try the cream-based type and/or add lip gloss to enhance the dimension of depth. The Revlon Kiss Plumping Lip Crème, which comes in a tiny squeeze tube, has the effect of cream and gloss minus the stickiness. Which type is for everyday wear? Anything sheer is a good choice since it has higher oil content, and won't likely dry your lips even if you retouch often. It usually has less-loud shades plus subtle shine.